This is a juicy subject and is coming up a lot for people. 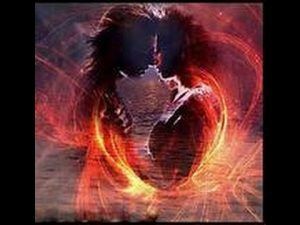 The new age has given people a bit of a fairy tale idea that a twin flame reunion is all love and rainbows. Usually it is for a bit. But these connections turn up to wake us up and to be a powerful mirror for us . Out twin soul will show us exactly what we still need to heal and where we still need to grow. If both parties are open to that indeed it can be magical. Often though old patterns come up to be healed and released and are not rosy and fun and we need to stay very very open to not shut down. Hence the runner drama often played out. It simply gets too intense for one and they take off. Its not because they are bad they just need a breather and are scared by the intensity. So good communication is essential. Often when one runs abondenment issues come up in the other. Look at it as gift its in front of you so love yourself through all those yucky feeling. They are needing to be integrated to create wholeness. Allow your feelings to be what they are without judging them and breathe, keep breathing. If it is a true twin soul connection you will reconnect at some point, so use the time to heal and love yourself. The other does not give you the love , they simply show you the love you have inside of you. Because the feeling is yours. The other twin does not complete you they show you and help you become whole in yourself so the two of you can stop the time old games people have played and unconditionally love without needing to control or own the other as when you are whole you do not need but you enjoy the other. Sometimes a twin is also not currently incarnated or is not a partner. I once met actual twins who were twin souls as well. It is not a magic formula to happiness but an agreement to help each wake up.